A plan to abolish 3 in 1 system in the capital continues to be finalized. Eventually, the system would be changed to Traffic Order (KTL).
" From the meeting, we already have some steps and policies before implementing the new system"
According to him, Andri Yansyah, Head of Jakarta Transportation Dept disclosed, as the initial stage, his dept already had met with Polda Metro Jaya Traffic Unit Directorate. They discussed about preparatory step that will be carried out in future. "From the meeting, we already have some steps and policies before implementing the new system," he expressed, Tuesday (3/29). He disclosed, steps that will be prepared including socialization in form of a traffic forum on Thursday (3/31). Forum referred to formulate the best step for the abolition and collect public aspiration. Before that, socialization would be conducted first through social media and banner. "We decided to do trial on Tuesday (4/5). To ensure it, we will hold a meeting first with ranks on Friday (4/1)," he stated. 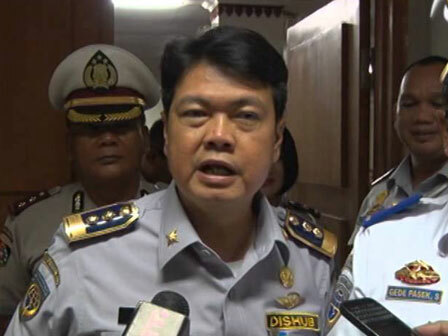 Yansyah added that such trial will be issued through decree of Transportation Dept. In future, as legal protection, there will be draft Gubernatorial Regulation on abolition and management of traffic order (3 in 1). "Later on, 3 in 1 will be replaced with traffic order system," he closed.